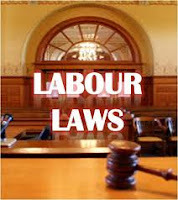 New Delhi:(Page3 News Network)-Union Cabinet today approved amendments to two important labour legislations. The amendments aim at improving the employment, working conditions and welfare of construction workers. An official release said, the Cabinet approved amendments to the Building and Other Construction Workers (Regulation of Employment and Conditions of Service Act, 1996 and Building and Other Construction Workers’ Welfare Cess Act, 1996 and introduction of Building and Other Construction Workers Related Laws (Amendment) Bill, 2012 in the winter session of Parliament. Our correspondent reports, the amendments among other things will also streamline the process of the registration of the construction workers. The State Welfare Boards will also be able to consolidate their finances and incur expenditure on administrative and other purpose for smooth functioning of the Board. The amendments will facilitate speedy implementation of these Acts by the Central and the State Governments. The amendments empower the Central Government to specify the maximum cost of construction by notification, in place of the present limit of 10 lakh rupees. The prerequisite condition of engagement of ninety days for registration of workers under the BOCW (RECS) Act is proposed to be done away with. Moreover, in order to extend benefits to the workers, who are engaged in building and construction work after attaining the age of sixty years, the criteria of upper age limit of sixty years is also proposed to be done away with.